High Quality Plastic Injection Molded Products & Services - Brogan & Patrick Mfg. Corp.
Brogan & Patrick Mfg.Corp. believes in providing a quality component the first time. 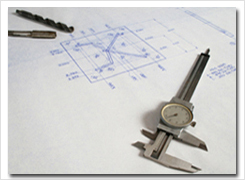 We continually monitor and check components during machining to make sure each part is to our customer’s blueprint. Our business is based upon our customer’s satisfaction. 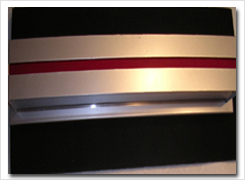 We hold the process of quality control to extremely strict expectations. The perception of our company is based upon your approval of our services. Brogan & Patrick Mfg. 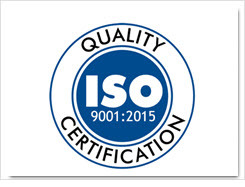 is certified to the ISO 9001:2015 standard for the machining and supply of customer engineered components. This quality management system is applicable to the machining and manufacturing of parts to customer requirements. We have always been committed to quality. This certification ensures our customers that we are following well-defined and documented procedures throughout the manufacturing and supply process. Our ISO certification will allow us to be a more productive manufacturing company through faster identification, more efficient procedures and better resolve to produce and supply quality components. Brogan & Patrick utilizes a Micro-VU 251HC vision inspection unit for accurate measurements of components. The Micro-Vu provides proprietary edge detection, lighting control, and calibration. Its multi-sensor and clear display allow for accurate measurement data and tolerances. The vision system includes programmable optical zoom, power to 400x, advanced LED lighting, probe compatibility, resident calibration, as well as USB connection for workstation computer. This system enhances our ability to accurately check components for the industries we serve: Aerospace, Medical, Automotive, Electronics, Military, Fluid Power and others.